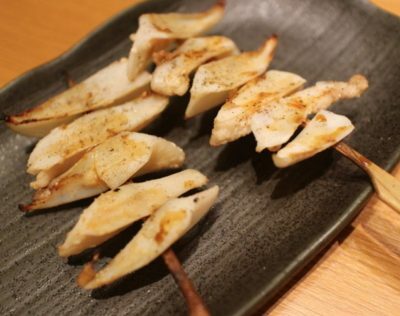 Recommended restaurant in Shinmaruko (新丸子) this time is Yakitori: Darumaya. 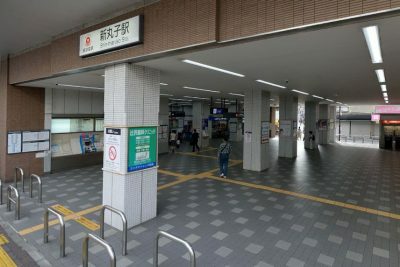 Darumaya is situated more than 200 meters away from Shinmaruko station. If you walk a bit faster than average pace, you’ll probably get there in a minute or two. The nearest landmark is FamilyMart which is at the corner of the road before taking a left turn heading towards the restaurant. You’ll also pass by a flower shop called “Flower Adviser”. Another tip is you’ll find two vending machines (blue & red) just beside Darumaya! 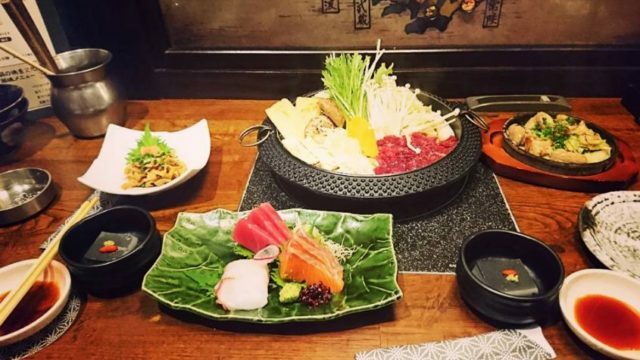 Looking at its exterior concept, Darumaya is just like any other restaurants here in Japan. 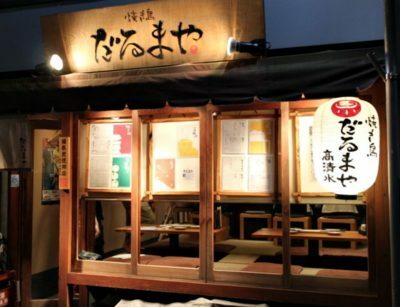 The restaurant’s name is displayed in Japanese characters (hiragana). Its glass walls will give you a quick look of the interior design. I’ve seen lots of customers who were trying to dine but got rejected and it’s probably because some of the seats were already booked in advance. The seats are quite limited as it can only accommodate up to 16 guests in total. There are two types of seating arrangement, one is the counter seating and the other one is the horigotatsu style. The atmosphere is very relaxing and it was a bit cold inside even though it’s a yakitori restaurant. Probably the temperature is suited for the staff but not for some of the customers (including me). If you are dining alone or with a friend/co-worker, this place is a great choice for delicious food and meaningful convo! Dating is also possible and for groups, the maximum number would be up to 4 people. Though it has limited space, I didn’t get suffocated even after all of the seats are taken so I’d say, it is not overcrowded at all! Mostly, the customers are Japanese locals and I was the only foreign guest at that time! This compulsory appetizers did a great job in conditioning my tastebuds and stomach while waiting for the orders to be served in time. 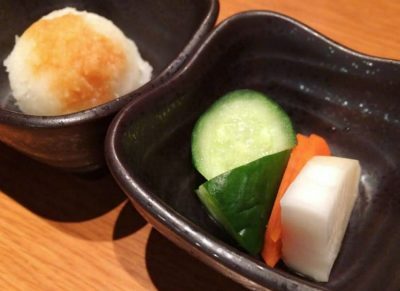 Fresh veggies and grated radish are a perfect match! It was my first time to try toriwasa and guess what, it did not disappoint at all! I never thought that eating raw chicken meat can be this satisfying! 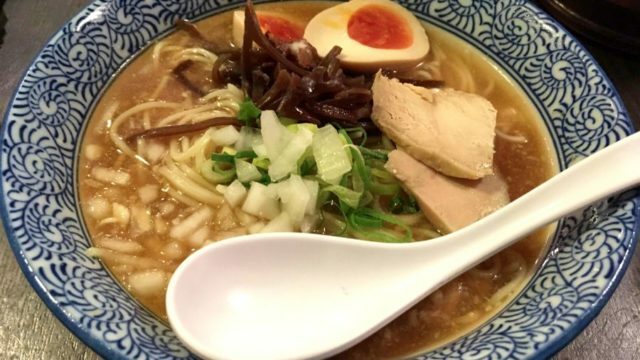 This nankotsu is really soft and easy to eat. 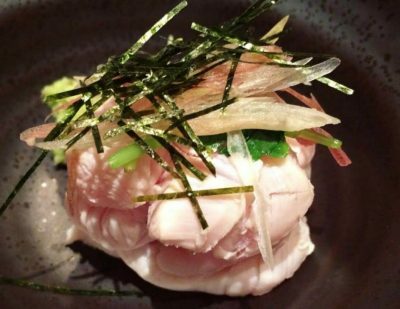 I’d say that the restaurant’s preparation style for this chicken part is one of the best that I’ve ever tasted! 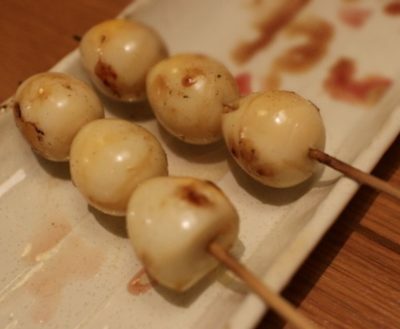 Quail eggs in skewer? Interestingly good! It’s also a first for me and I’ll definitely reorder once I get the chance to visit here again! 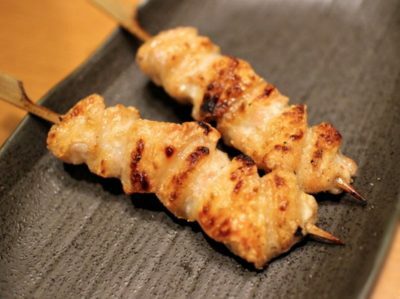 This minced meat perfectly formed in skewer and dipped in tare (sauce) is very tasty! I highly recommend it for everyone to try. 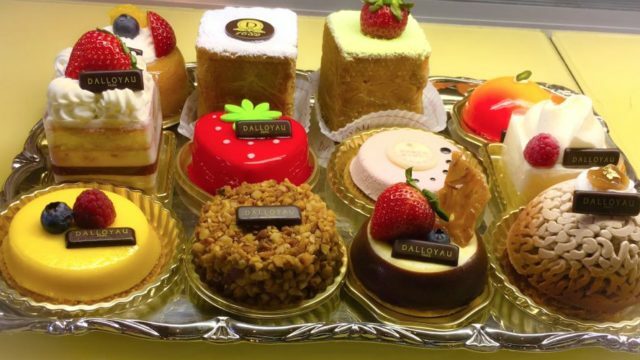 You will surely like it and crave for more! 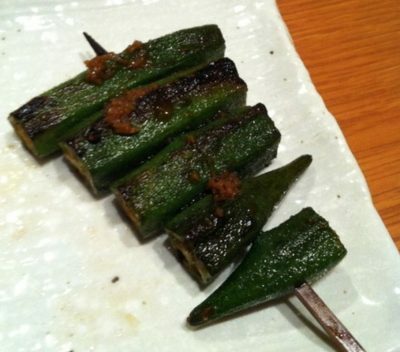 Tryin’ out this grilled okra is something you shouldn’t to miss! It has that perfect softness plus a tasty sauce (tare). 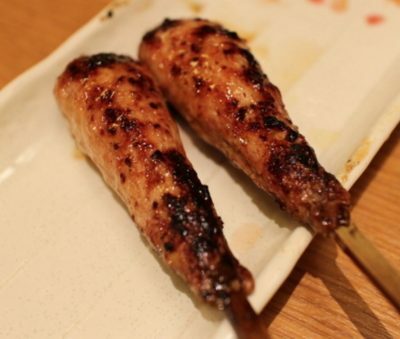 Grilled chicken meat in this restaurant is really very delicious. I could not put into words how it actually tastes but it’s 100% addicting! 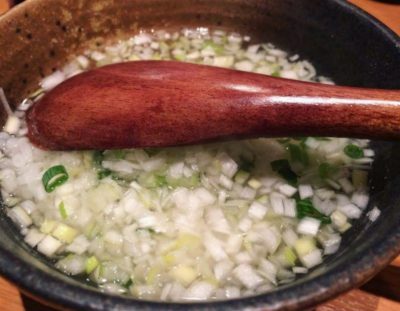 Ochazuke is a popular Japanese dish served as the final meal for every drinking session here in Japan. The taste is filled with undeniable freshness and healthy aroma that can make you relax even more. Well, this is also perfect to eat when you feel sick. Final verdict: I ‘d give it a 9.5 out of 10. 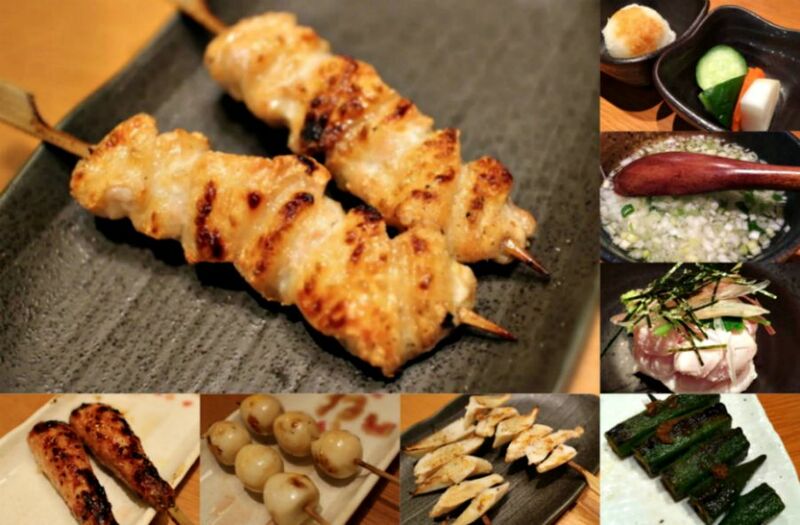 The yakitori meals served here are indeed one of the bests I’ve ever tried here in Japan and it’s all reasonably priced, a lot cheaper than any other yakitori house! Reservation is needed if you want to get a secured seat in advance to avoid getting rejected once you pay for a visit. Recommended when eating/drinking alone, with a friend/co-worker, and even for dating! 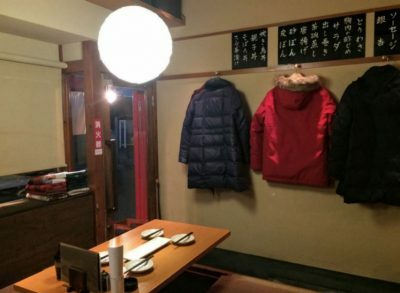 Cons: The dining area was a bit colder than the average restaurants temp in winter season.